Glory Awaits in The Arena! Experience the thrill of competition and engage in explosive encounters in The Arena – a place dedicated to contests of seafaring skill on the Sea of Thieves! The proudest pirates love to show off their abilities and The Arena is the ideal place for it. Trust in your crew and test your mettle in this dedicated game mode. The Arena is a new game mode designed to complement the existing Sea of Thieves adventure. It allows players to dive straight into on-demand competitive play with other crews for more action-focused encounters. 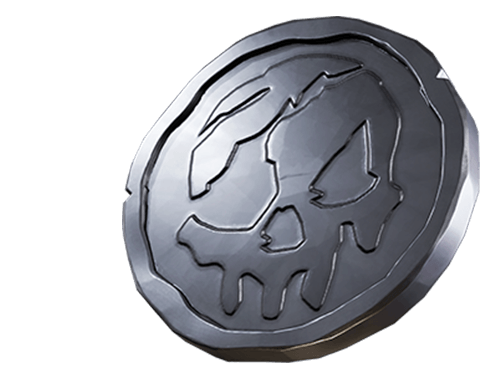 Combining higher-stakes teamwork and strategy, The Arena provides a unique gameplay experience and a new way to enjoy the world of Sea of Thieves. The Sea Dogs are run by Lesedi and DeMarco Singh, twins and rivals who embody the spirit of The Arena – lively and sometimes savage competition tempered by mutual respect. Stars of the official Sea of Thieves comic series, Lesedi and DeMarco are proud pirates who have seen their share of adventures and desperate scrapes. They have now turned their efforts towards creating the Sea Dogs, a Trading Company that encourages feats of skill and the right to show off – all for the fortune and glory! The Sea Dogs operate out of their own special tavern, built for all pirates as a gathering place for contests of courage and expertise. When playing The Arena, you’ll spend downtime between match-ups in the tavern, where you can explore, drink and chat with other challengers. The Sea Dogs Tavern is a marvel to behold and a great place to mingle with other crews while seeking a contest. Bump into DeMarco and Lesedi or watch the winners’ ceremony unfold – hopefully with your crew standing victorious!